While I appreciate the style of a Top 5 or Top 10 list, my unfortunate habit of playing (or rather, finishing) approximately three games per year does not lend easily to that format. 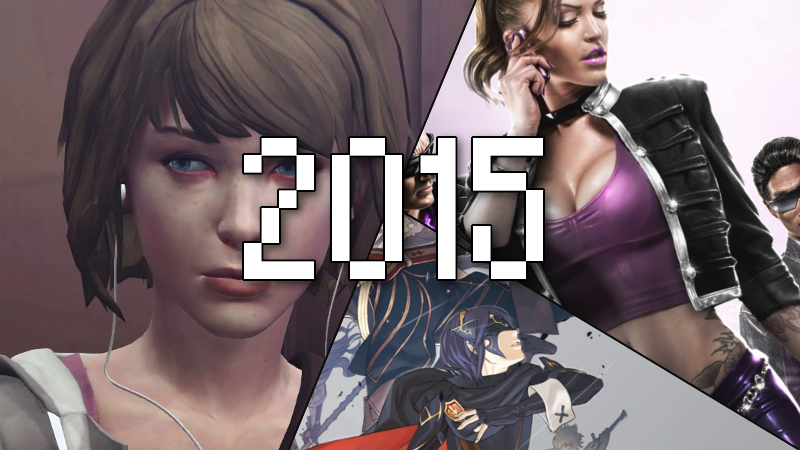 Instead, I assembled a list of games that I actually managed to finish in 2015. Which, let me tell you, is the highest testament to their value I can give. Seeing as I signed up to review LIS in its emerging stages, I was kind of forced to finish this one. Gratefully, it was not a chore to do so. I’m rather inexperienced in the genre of episodic games, but Life is Strange couldn’t have been a better introduction. The action and story felt fast-paced and omnipresent even between the monthly episode waits. I wondered frequently where the story would go and how Max and Chloe would press onward, despite their frequent obstacles. As anyone who knows me can testify, I’ve always been one who appreciates story over gameplay. While there have been many critiques of LIS’s lacking and sometimes repetitive mechanics (especially in the latter episodes), the story, for me, compensated for any complaints. Despite the sometimes unfortunate dialogue, the relationship between the two girls was very real and very believable. Although the game certainly had its flaws, the connection you witness between them undeniably ascends crappy phrasing choices like “ready for the mosh pit shaka brah”. Saints Row: The Third was surprising to me for two reasons. 1) My computer could run it, which is always a surprise. 2) I actually enjoyed it. Don’t get me wrong, I know these are bare-bones prerequisites for my enjoyment, but I live with what I got, ya know? When I first encountered Saints Row, it was through a youtube video back in 2011 when it first came out. I thought it was about the most outrageous and offensive piece of media I had ever seen (I believe this was before I started reading youtube comments). Flash forward four years, I found myself laughing at just how outlandish, if surprisingly tasteful, the game’s humor really was. While I technically can’t remember if I finished this game in 2015 or ‘14, I’d love to give it the praise it deserves. I’ve been a Fire Emblem fan for years, having played almost all the original titles. FE has always had a unique place in the tactical RPG world. It’s an accessible but unforgiving series, allowing newbies and veterans alike to explore and enjoy its rich world. Awakening did what I hope every sequel can do for its predecessor―to add on without taking away. With the addition of marriages and several new gameplay elements, the game felt fresh without detracting from the rhythm of the games before it.